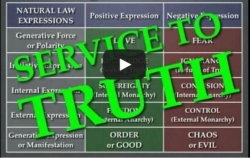 Mark Passio is the expert on Natural Law and in this video, explains how government and religions are able to get control of our minds. Watch the first two hours for this information. The rest of the video is a critique on the New Age religion.